Will the barrister tell me what the fees are in advance? I often find that the easiest way to run a case, and to organise a case for someone, is to break it down into manageable sections, and come to an agreement with them before any work is done, about what work is actually being done , and what that work will cost. Organising in advance like that will mean that no one is surprised by any fees. So everything and all the work done is arranged good time prior to the work being done, and for a fixed fee that won’t catch you by surprise. Well, of course, one of the other benefits is that if you do come to someone and you don’t know whether you have got a case, most people, most barristers I shall say who do Public Access work and are Public Access qualified will sit down and give you a free consultation at the beginning just to access whether you’ve got a case and give you the initial advice. In many occurrences and instances, people will come to a barrister, say “ Do I have a case?” and after looking at it, examining it, they may not have a case. It is one of the first steps in any event. If you are on the fence about whether or not to bring a case, why not use the 15 minutes, half an hour, even an hour of discussions just to see whether that is the case, you can continue with that. Inquests and public enquiries are unlike ordinary court hearings, because, as their name implies, they are inquisitorial proceedings, whose primary purpose is to investigate a situation and to arrive at a conclusion. Whether that conclusion concerns the cause of someone’s death in the case of inquest, or a government appointed inspector’s recommendation to a government body, in a relation to a matter of public interest. Inquests are held in order to establish the cause of death in situations, where the death are not natural causes. Those who become involved in inquests are obviously the bereaved of the person, who has very sadly died, and the person who may be found have been wholly or partially responsible for that death. For example, the driver of the car involved in an accident, in which the decease died. Whichever side the individual is on, they will undoubtedly have a vested interest in the outcome; whether it’ll be an inquest or enquiry, the adversarial skills of an experienced barrister in cross-examining witnesses and making speeches (what lawyers call submissions) to the coroner in an inquest, the inspector of an enquiry, can make or break the case. Can I bring a barrister into an inquest? The huge advantage of being represented in either type of the hearing is that the experienced advocate can bring a professional and objective detachment to the case; unaffected by understandable emotion affecting those, who are personally involved, and unaffected by any personal agendas. The independent and experienced advocate is able to put the most persuasive case before the hearing to the very best advantage of the side that he is representing. It cannot be overstated that effective representation during the course of the inquest in particular, can be pivotal if not determinative as to the likelihood of any subsequence proceedings, particular of a criminal nature. Can an inquest lead to a prosecution? If a prosecution does follow, then the way which the evidence unfolded and was addressed before the inquest, can itself have a very real and direct bearing upon any subsequence trial. There may also be consequential civil claims by the estate of the decease person, or an injured employee who’s seeking damages. In both inquests and enquiries, continuity of representation is obviously a vital element. And if the case becomes a criminal prosecution, it will involve considerable adversarial skills being required before the jury. How can I prepare for an inquest? I have the resources of a team of highly experienced investigators from a variety of backgrounds, who can assist under my direction with the preparation of any case that goes before an inquest. I can assist you with the selection and briefing of any necessary experts that are required. What Is The Difference Between Litigating And What Barristers Normally Do? When the Bar’s public direct access scheme first appeared, it was designed to enable lay clients who could manage their case without the assistance of a solicitor to instruct a barrister directly. It was not intended to let barristers perform the role of solicitors. Barristers were prohibited from “conducting litigation”, which included going on the court record as acting for a client and being the court’s and opposition solicitors’ point of contact for the client. Since 2014, however, barristers who attain the right to act in a “dual capacity” may carry out the functions of a solicitor as as well as a barrister (subject to the rule that barristers may still not hold client money on account). This means that clients can now enjoy a legal “one stop shop” – something which has traditionally been available only in other jurisdictions, such as the USA – for a more streamlined and responsive service. Does This Mean I Have To Pay The Barrister To Do Everything A Solicitor Would Do, On Top Of The Barrister Work? Instructing a barrister in a dual capacity does not mean that you have to instruct them to do everything. It is open to the client to continue to do things such as filing documents at court themselves. The scope of the barrister’s work is defined in a client care letter – just as it would be under a normal direct access instruction – so you can be flexible in what responsibilities you want them to take on. You can feel your way as you go, increasing or decreasing the barrister’s responsibilities according to how you get on with managing your case, or leave everything in their hands for a period, because you are going on holiday or have another commitment which requires your attention, then go back on the court record as acting for yourself. If you want a barrister to go on the court record as acting for you, it is likely that they will require an up front contingency payment to cover any work which they may be required (but not specifically instructed) to do as a consequence of being on the court record, though any balance will be refundable at the end of the barrister’s period of instruction. What Advantages Does The “One Stop Shop” Model Have Over Using A Barrister And A Solicitor? By instructing a barrister in a dual capacity, you will effectively be instructing a solicitor in sole practice who has specialist training and experience in the barrister’s traditional functions: advice; drafting; and advocacy. This means that, every time any of those three services is required, time and money will be saved, as there will be no need for a solicitor to draft instructions to the barrister and wait for them to read those instructions (and and accompanying documents) and revert. Similarly, if the barrister needs more information from you, they can just ask directly, speeding things up and saving costs. It is cost-effective to ‘front-load’ your advice, and get a senior barrister at an early stage. A written legal advice is advisable, because it will be complete, coherent, and you can refer back to it to see what the terms of reference are. You can change your barrister at any stage for someone you gel better with, although it is better to stick with a barrister once you have started, as he will have the background knowledge of the case. Watch the video for full details. I recently received a question about driving without headlights. Effectively, a young driver had got in a car, and driven quite innocently, but driven home and forgot to put his headlights on. He told me, quite candidly, that the reason he didn’t put his headlights on was simply because he forgot. He could see quite clearly because there were road lighting. And he felt he could drive properly. So what it was, was a casual mistake, but of course we all know that’s quite a dangerous mistake, because he may have been able to see but I had to advise him that people coming at him and driving towards him potentiality wouldn’t see him, which of course, we know could end up in disasterous results. In those circumstances, he was charged by the police when the police saw him -as it unfortunately happen to drive pass the police, and he was charged with careless driving. Now, that was a charge that isn’t specific to headlights, but of course as we know – because he was driving without headlights, and he was a danger on the road. He was careless and not turning on headlights when drove home. So that’s the question I was asked: “Is it an offence to drive without headlights on at night?” And of course, not specifically an offence, but you will be charged with careless driving or you could be charged with careless driving, which is a serious offence. Caught speeding at an ‘excessive’ speed? Here’s what you can do to avoid or, at least, minimise the length of a ban. Consider taking a driving course to establish that you have learned lessons in advance of your sentencing hearing (there are short courses available aimed at changing attitudes to speeding). Production of a certificate to prove you have undertaken such a course can be beneficial. For any lawyer who does not specialise in defending road traffic cases advancing mitigation in a speeding case can be a minefield of ‘dos and don’ts’. I frequently find myself explaining to clients why some points, which they would like put before the court, will only aggravate their situation. The best results are obtained by assessing all the facts, taking ‘on the chin’ those points which cannot be avoided, and, skilfully and persuasively making the most of the mitigation that is present. In this way, even when speeding at over 100 mph, surprisingly good results can often be obtained. Evidential Lacuna – a Barrister’s ‘Loophole’ Story. Ok, so I’m asked to tell you about a case I did. One thing that the public have latched onto is what they term as ‘loopholes’. Often people are prosecuted and they want to avoid the case by some kind of loophole. I can give you an example of a case I did quite a long time ago; When I was asked to defend a motorist in North London who’d been involved in a collision and he was prosecuted for driving without due care and attention. Now it’s my duty to advise my client as to the strength of the evidence because there’s no point in contesting a case if they’re only going to be convicted. Because it wastes your time, it wastes the court’s time, and it costs more. After all, you have to pay a costs order at the end of the day and the costs are likely to be more if you’ve contested the case. Having said that, if i advise someone in private that ‘the evidence looks strong, and what you’re telling me doesn’t really amount to a defence’ but that person wants to plead ‘not guilty’ anyway, then it’s my duty to represent the client in accordance with the instructions you’ve given me. For example, if you say “I caused that collision but I don’t consider that I was driving without due care and attention” – it might be nonsensical but if those are your instructions and you insist on pleading not guilty then I will represent you. Now, in this particular case, the client told me he wanted to plead not guilty, I couldn’t really see a defence – it was quite clear there were prosecution witnesses who were going to say that my client had driven into the back of another car. But of course the trial started, based on the clients instructions, and I found myself cross-examining witnesses. I noticed, after a little way into the trial that the prosecution advocate had not elicited the name of my client; for example, he had referred to ‘the driver of the Ford Cortina’ as opposed to the driver of the Ford Cortina being Mr X. Now, there was a long way to go in the trial and there were many opportunities for him to elicit evidence of the identity of my lay client. But noticing that he hadn’t’ sought to identify him with the first witness made me think that it’s always possible that we’ll get to the end of the prosecution case and he still won’t have done it. I didn’t think it very likely, but it’s my duty as a defence advocate to keep my eyes and ears open, and see if i can spot a “loophole”. What I did in this particular case was, I tried to give the Crown and the Court a false sense of security. So, I didn’t aggressively examine the prosecution witnesses, I didn’t challenge their accounts at all, in fact, but I didn’t refer to the driver of the Ford Cortina as Mr X, I simply referred to him each time i asked a question as “The driver of the Ford” or “The driver of the Cortina” or “The other driver”. One way and another, we got all of the way through the prosecution case without anybody eliciting the name of the driver of the Ford Cortina, so there was no formal evidence of his identity. At the end of the prosecution case, rather than call the defendant to give evidence in his own defence, I made a submission to the Court that there was no case to answer, based on the fact that there was no evidence that the man in the dock had been the man driving the Ford Cortina. Although the prosecutor opposed that application, the Court was obliged to accede to the application because no evidence had been called. So, therefore, my lay client was acquitted, and furthermore, a costs order was made in his favour. So my lay client went home a very happy man having been acquitted, having got an order for his costs, and the prosecutor looked a rather silly man. So there’s an example of how, when it appears all is lost and there is no way out, there might be. If you keep your eyes and ears open, the prosecutor might make a mistake. Now I certainly don’t advocate contesting cases where the evidence is strong, and there’s no clear defence on the face of the papers, but if my lay client insists that he wants to plead not guilty, so long as he doesn’t expect me to misrepresent his instructions, then i’m prepared to, and obliged to represent my lay client. So that’s one example of a loophole that’s always stayed with me. So, I’ve been asked to tell you another “loophole” story. I was asked to defend a man who had been in a road traffic accident shortly after midnight. The accident had occurred in North London. There were quite a few prosecution witnesses who were going to give evidence against my lay client, but my lay client insisted he wasn’t guilty. I thought the evidence was strong, but my lay client insisted on pleading ‘not guilty’ despite the advice I gave him. Therefore, the case commenced and the early witnesses for the Crown said that the incident had occurred a few minutes after midnight. However, upon closer cross-examination, it transpired that although they had said that in their written statements the time that had been given for the accident had actually been provided by the ambulance services when they’d arrived. The eye witnesses (those who were at the scene initially) said the accident had actually occurred a few minutes earlier, perhaps 10 or 15 minutes earlier (prior to the arrival of the ambulance). Now, there’s a rule in existence about time limits in summary matters. Broadly speaking, an‘Information’ must be laid within 6 months of the offence being committed. An‘Information’ is a formal collection of details about an allegation which are essentially submitted by the prosecution to the court. The information must be laid within 6 months of an offence. Now, it always pays as an advocate to pay close attention to detail because you never know when that detail is going to assume much greater significance. One thing I’d noticed about this particular case at the outset was that the Information had been laid on the very last day of the time limit. It had been laid a full 6 months after the incident. Now that, in itself, didn’t provide a defence. It didn’t even weaken the prosecution. But, once the eye witnesses started saying there was a 10 or 15 min delay before the ambulance services turned up and, based on the fact that the Crown took the time of the incident as being about 7 minutes past midnight, it suddenly occurred to me that there could be a loophole in the offing. So, I continued to cross-examine the witnesses and I elicited from all the civilian witnesses, or most of them, that there had been a 10 or 15 min delay before the ambulance services had turned up. It was established during the prosecution case that the time of the accident had been taken from the ambulance men. The ambulance men had made statements saying the time they’d arrived (which was about 7 or 8 minutes past midnight). I’d given the Crown and the court a false sense of security by asking, not silly questions, but by asking questions which made it seem as though the nub of the allegations weren’t being disputed. So they had no reason to be on edge or to be mentally sharp. So, having noticed that the time of the accident in the Crown’s charge was based on the time the ambulance men had arrived and that the actual evidence in the case was that the accident had occurred 10 or 15 minutes before (they had arrived) I rose to my feet, at some point during the Crown’s case towards the very end, and, under the guise of being helpful to the court and the Crown, I suggested that the Crown apply to amend their allegation to the day before because the evidence had been that the offence had been committed just beforemidnight. So not seeing any harm in this, the prosecutor duly rose to his feet and applied to amend the charge to the day before. The court not understanding what was afoot, acceded to that application. So, the charge now was that the offence had been committed one day earlier. Which meant of course that the information had been laid one day out of time, and no one else had noticed that, but I had. So upon the case for the Crown concluding I rose to my feet to make a submission of ‘no case to answer’. The submission was, in effect, that the information had been laid out of time, and, therefore the defendant was entitled to an acquittal. The prosecutor opposed the application. His submissions finished just as 1 o’clock was reached so we had to break for lunch. That gave the Magistrates time to consider their ruling. I left my bag in the well of the court – it was one of the old-style London Magistrates’ Courts. The court was being locked over lunch anyway and at 13:55 I came back to court when the court was open. As the prosecutor walked in I noticed he walked into my bag not realising it was there. And I couldn’t help but notice that he kicked my bag! He didn’t realise it was my bag, or he wouldn’t have kicked it. But that was how frustrated he was because he fully expected the court to rule against him. The court came in at 2 o’clock and ruled against him. Obviously I felt a bit sorry for the prosecutor, but he should have been awake and he wasn’t. My client was acquitted and again a costs order was made in his favour. So, that’s just an illustration of the fact that if your advocate is sharp, pays attention to detail, and, focuses throughout the case, that there might be a means of securing an acquittal even although the evidence is strong. Now, I wouldn’t want it to be said that Mr Rupasinha makes a virtue out of securing acquittals for his lay clients through loopholes, but, if you think about it, it would be entirely wrong if I am defending a lay client and there’s a material gap in the Crown’s case, if I didn’t seek to secure the acquittal of my lay client based on that gap. What would the alternative be? Am I meant to keep it to myself and not mention to my lay client that there’s a loophole in the case? Should I side with the Crown and tell them without telling my lay client, “Actually there is a loophole there, do you want to close it?” No, of course not. As a defence advocate, when you are instructed to defend someone, you should do so to the best of your ability within the rules; and if you come to me, that’s what I’ll do. I need to save my driving licence. How much regard should I pay to the ‘success rates’ I see advertised by motor offence solicitors? You stand accused of having committed a road traffic offence. It is essential that you maximise your chances of saving your driving licence. You are looking for the lawyer, barrister or solicitor, who will give you the best chance of doing so. You Google ‘success rates motor offence solicitors’ and find a whole series of solicitors’ websites boasting success rates of between 95-100%. Should you be persuaded by these claims to instruct one of these fabulously successful solicitors? I regularly represent motorists who have pleaded ‘Guilty’ to speeding at excessively high speeds. Recently I had a client who was sentenced for speeding at 127 mph. After considering carefully his mitigation the court elected not to ban him (at all). How should this be compared with a solicitor who presents mitigation for a client who avoids a ban (let’s say for speeding at 91 mph in a 70 mph limit)? You may think that it would be relatively easy to avoid a ban in the latter case compared with the former. So, how much weight should each case be accorded in a ‘success’ table? To take a variation on the above example, I recently represented, upon a ‘Guilty’ plea, a gent caught speeding at well over 100 mph. He was banned for 28 days. As soon as we were out of earshot of the magistrates he made clear in emphatic terms that he regarded the sentence as a ‘result’ (he was thrilled that the ban was short enough to allow him to keep his job when he had justifiably expected a markedly longer ban). If ‘success’ is gauged, in such cases, by the crude measure of avoidance of a ban then this case would have had to have been registered as a ‘failure’ in any league table. Yet, it was clearly a marked ‘success’ from the perspective of the client (which, after all, is the only perspective that matters). I can give example after example of cases resulting in bans but which the clients regarded as ‘successes’ such as the man speeding at 97 mph in a 50 mph limit who received only a 7-week ban when he expected a 7-month ban and so on…. Contested hearings have even more variables than ‘guilty’ pleas (too many for me to even begin to set out in a short article of this type). Consequently, they are even less suitable for measurement in any kind of ‘success’ table. In any event, so called ‘success rates’ can only have any meaning if one is comparing like with like. For this to have happened the solicitors’ practices advertising ‘success rates’ would have had to have agreed and common criteria as to how ‘success’ should be measured. So, next time you read of a motor offence solicitor claiming to have an impressive ‘success’ rate as measured by his percentage of ‘successes’ in motor offence cases you might care to email him or her and ask for the criteria which he and his fellow solicitors have agreed should be used. I am asked from time to time what my ‘success’ rate is. I never provide a percentage figure as to do so would, in my view, be potentially misleading and, therefore, unethical. How can you assess the abilities of lawyers you identify online? You can and should make enquiries as to the professional competence and reputation of the lawyers concerned. This is not always as difficult as you may think. Nowadays, there is often social evidence that can be checked. For example, you can ask them to point you to publications they have written on their area of specialisation. You can often look at their LinkedIn profiles to see how many personal recommendations have been posted about them and what they say. You can ask them to give you the details of some clients whom they have dealt with recently whom you can contact and so on. And, of course, you can read the testimonials on their websites. If you take these steps, ensure that they are experienced and that they specialise in the area of law with which you are concerned then you will have done what you can to ensure you have the best representation available. Contact Our Experienced Clerking Team. They will listen and explore your case. To find you a suitable barrister. Barrister Direct is an established and unique set-up. Our aim is to provide cost-effective and efficient legal solutions. 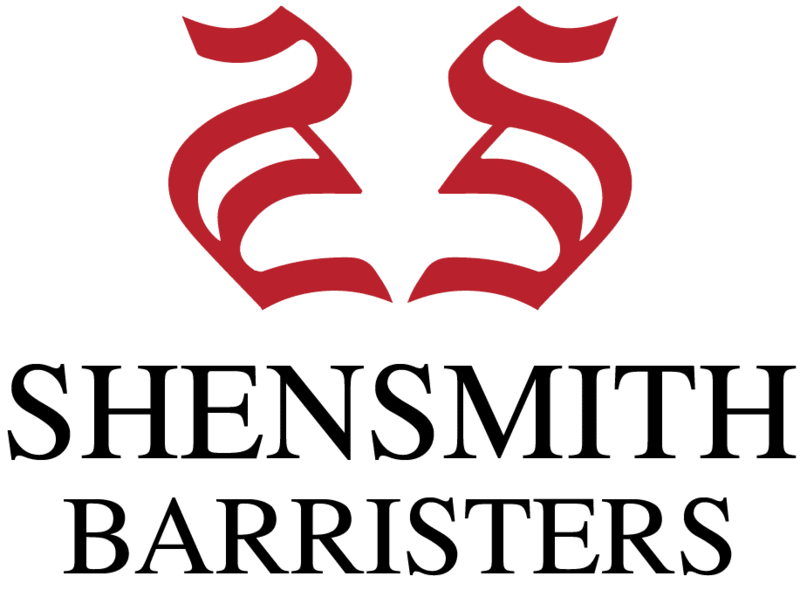 © 2019 Barrister Direct & ShenSmith Barristers. All rights reserved.